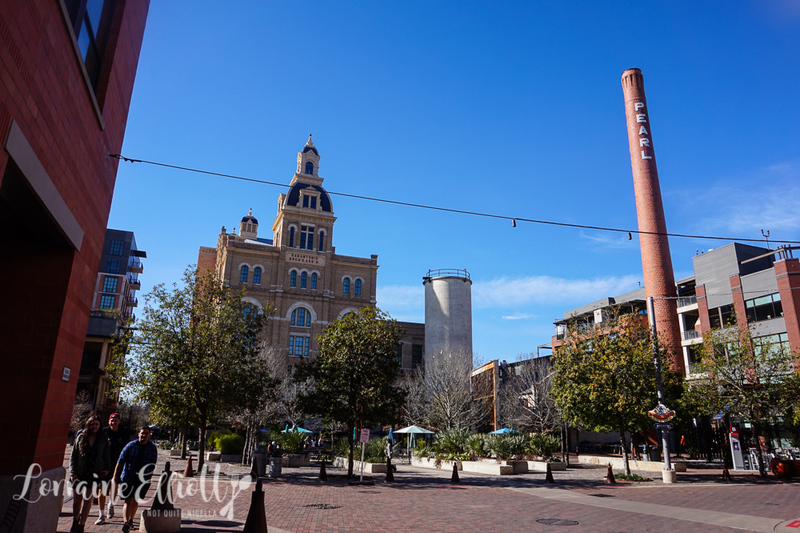 San Antonio's converted brewery area called "The Pearl" is named after the original brewery that closed in 2001. 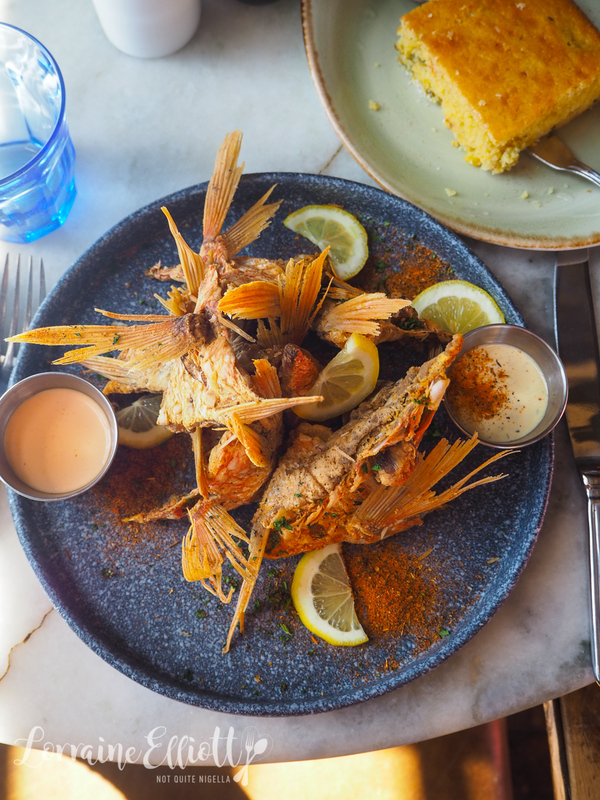 It features a selection of name-chef led restaurants and hand picked businesses with plenty of places to eat or boutique shop to cater for the locals that live in the converted buildings or for visitors. 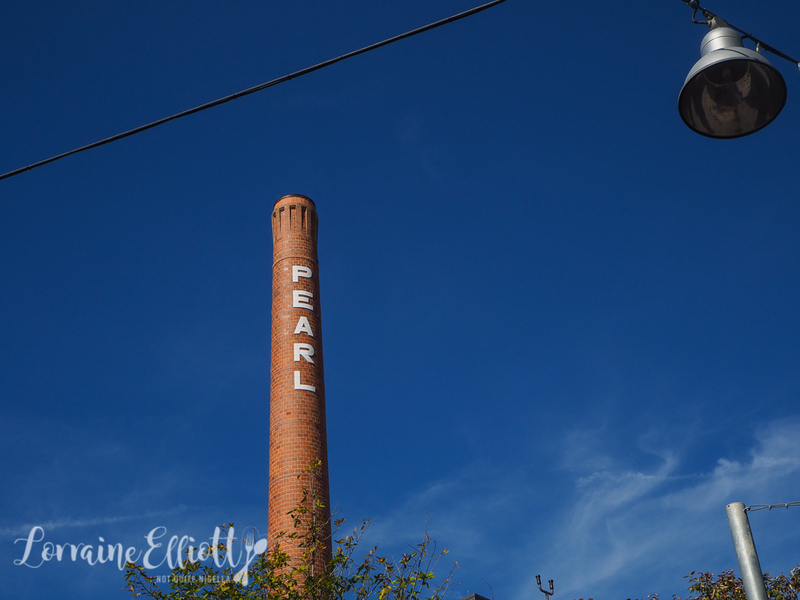 The Pearl district is home to Cured by James Beard awarded chef Steve McHugh that offers organic cured meats as well as La Gloria (that I visited a few years ago). 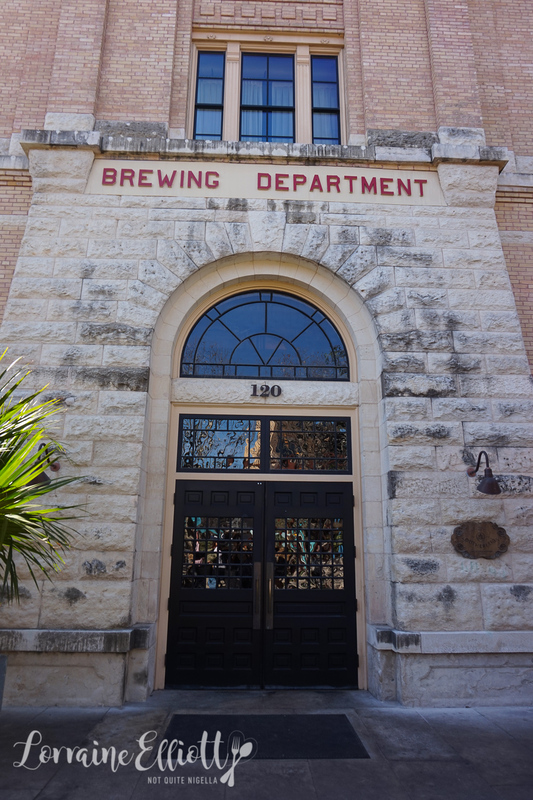 There are old fashioned bookshops, clothing stores, homewares store and an outpost of Austin's Lick Honest ice creamery and even its own boutique Hotel Emma. Hotel Emma is named after Emma Koehler whose philandering husband Otto Koehler had himself a trio of Emmas (Emma Koehler and two other Emmas he was having an affair with). The other two Emmas also happened to lived together. One of the two Emmas shot Otto during a heated argument and Emma Koehler was left to run the brewery as CEO which she did successfully. At the hotel's Sternewirth Bar you can also order a drink named after the three women called "The Three Emmas". 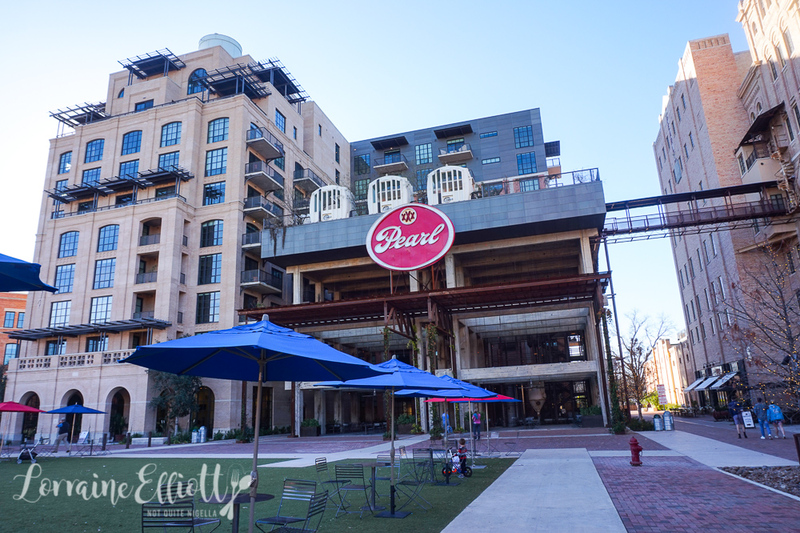 The Pearl district is reachable by car or by boat along the river walk where it lies on the Museum Reach section to the North of downtown San Antonio. It is also home to the third branch of the Culinary Institute of America. A food hall is set to open soon to cater for families and make it more accessible. 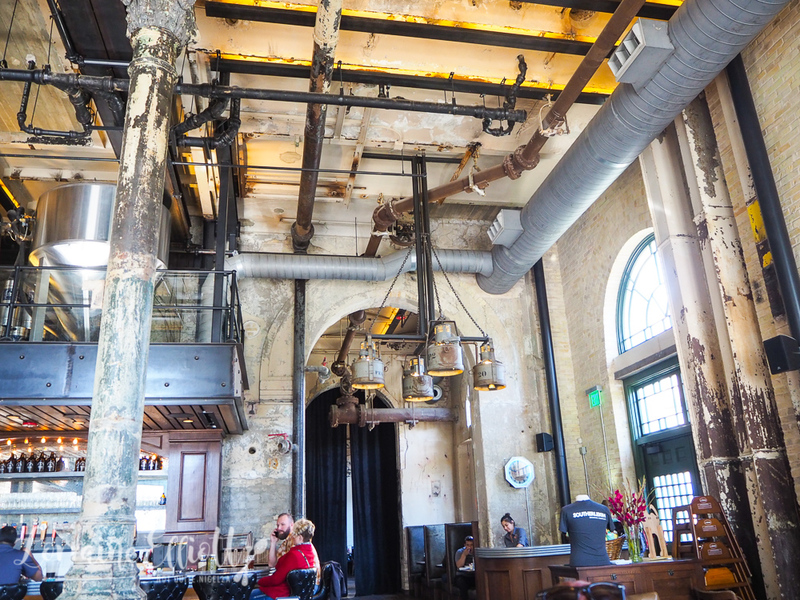 For now there are plenty of places to eat including the sun dappled Southerleigh brewery, named after the prevailing Gulf breeze. 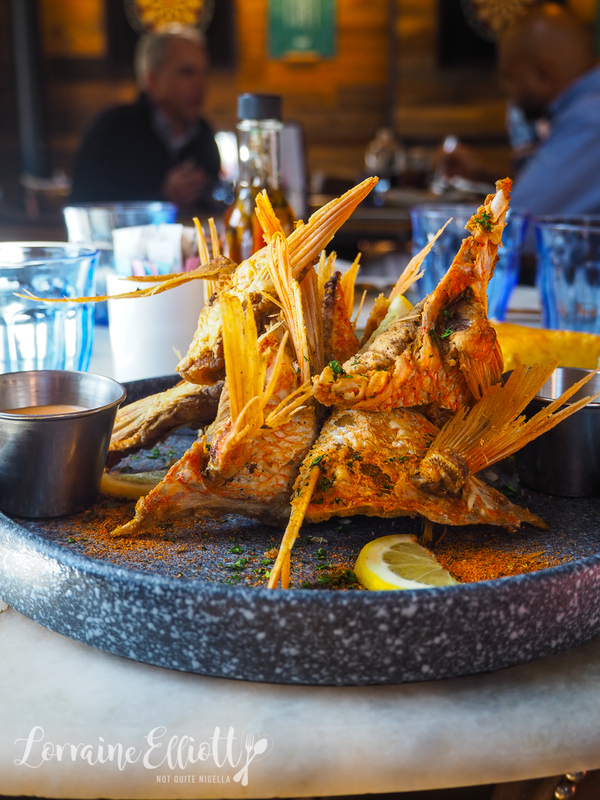 There's an on site brewery there and the food is a modern take on brewery food with items like snapper throats or cracker crusted redfish with blue crab butter. 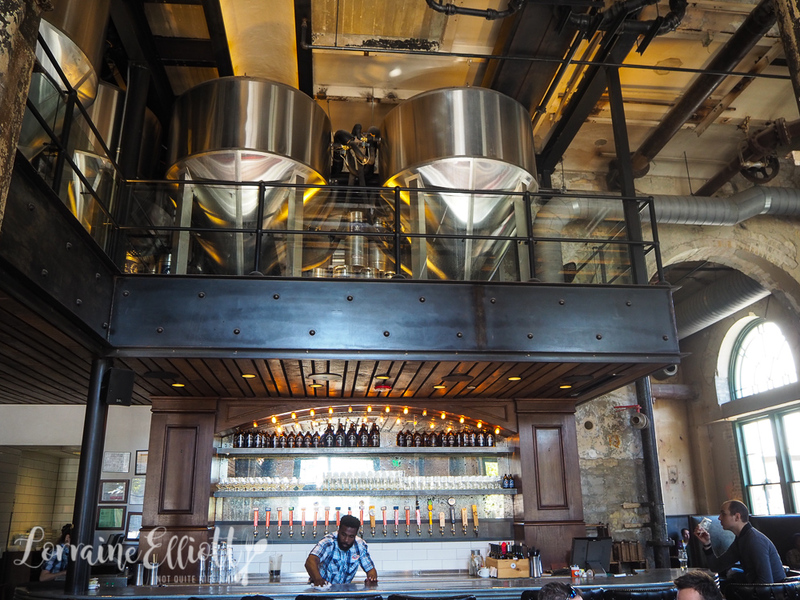 There are plenty of beers on tap as well as wines by the glass. The One in a Melon beer is a watermelon hued beer, soft in hops with an ever so slight bitterness to it. It is made with 350 gallons of fresh watermelon puree. 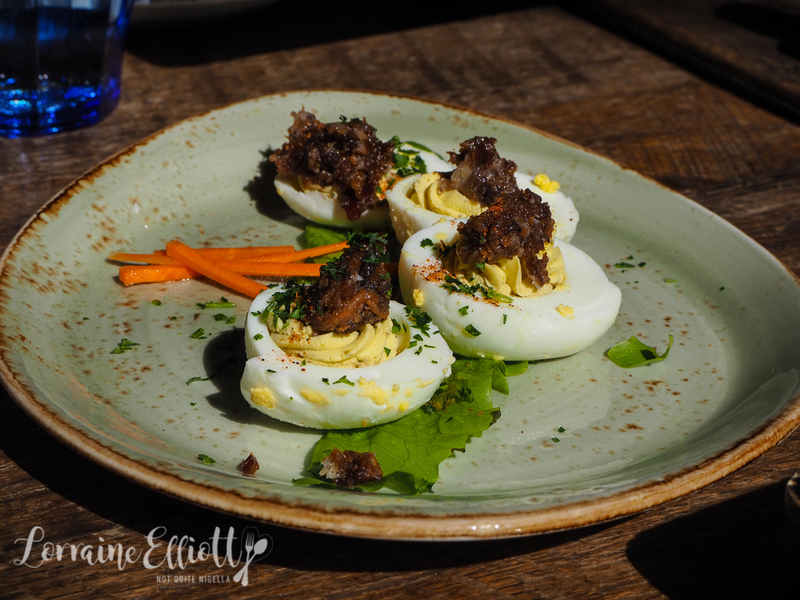 We start with the halved devilled hen's eggs topped with bacon jam. It is such a simple concept, yet so tasty. 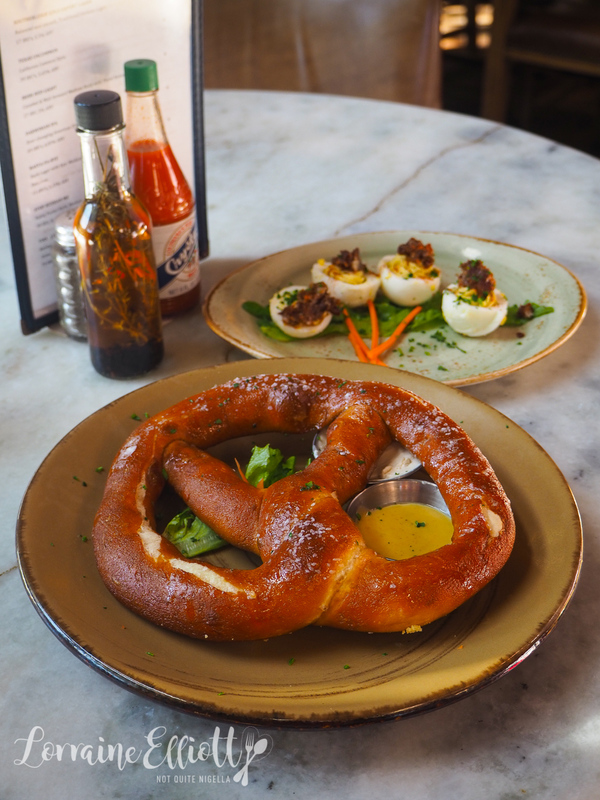 We tear at the soft, salt dusted pretzel and dip it in the beer cream cheese and the sweet, spicy mustard. My main is the "Cellarman's Lunch Pail". All meals come with a side and when you dine out in the US it's hard not to notice the prices. 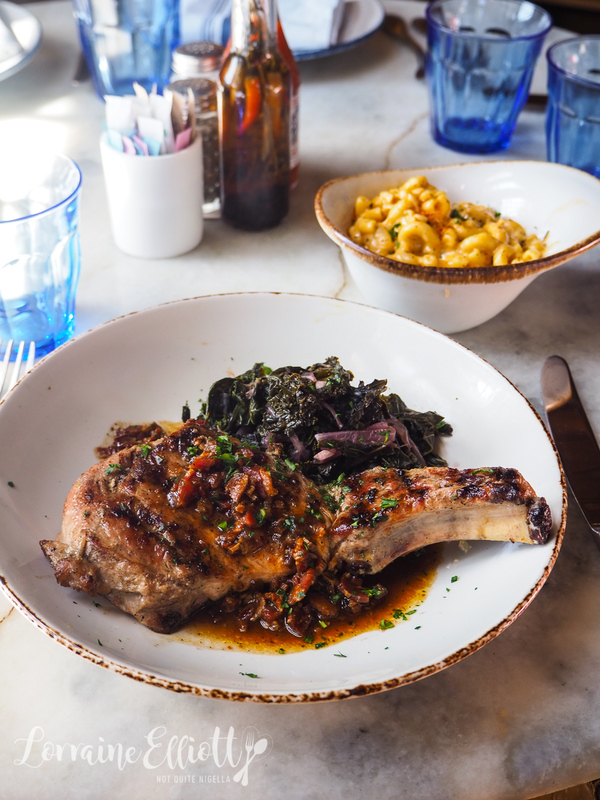 There is a choice of main of meatloaf, snapper throats or chicken salad with either a soup or a salad and an additional side. Out comes an entire plate of snapper throats or what our waiter describes as "chicken wings of the sea". And he's quite right. You pick them up by the fin and there is some tender flesh among some bone. They come with two sauces as well as chilli salt and a lemon wedge. The soup is a tomato based vegetable soup with chunks of greens. For my side order (I mean seriously how good value is this?) I choose the crab mac and cheese which is creamy, rich and delicious. 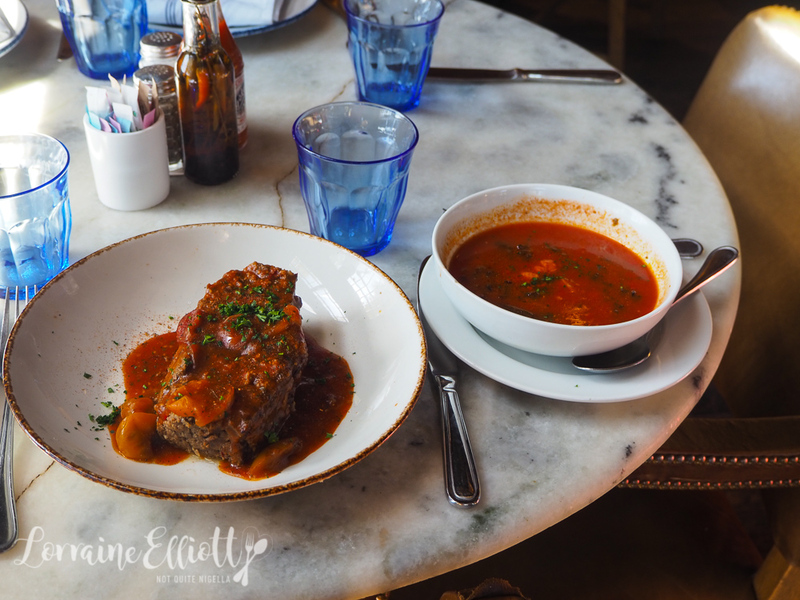 The meatloaf is a bit of Americana and my fellow writers order it as they've never tried meatloaf before but heard about it on television shows. This version is comfortingly good and well seasoned. I also sample some of the pork chop with red eye gravy. I was mainly intrigued by the idea of red eye gravy which is a bacon or ham dripping mixed with black coffee and then mixed with flour and milk to create a rich, creamy gravy. I made a version of it for my Southern dinner party. I also try some of Amanda's sirloin steak which is very tender and cooked perfectly to order. 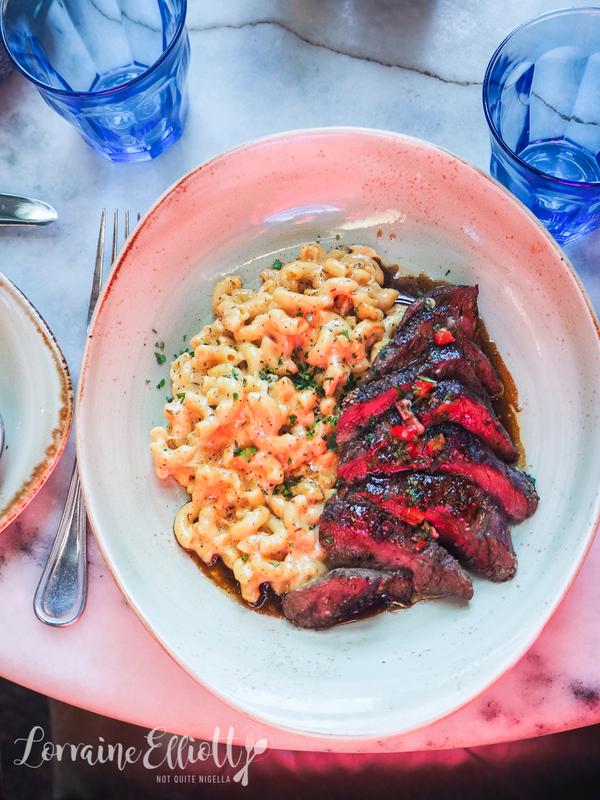 She orders it with a side of mac and cheese which is pretty good but my favourite side has to be the old fashioned cornbread with just the right amount of sweetness. I have to physically pull myself away from it. There's no time for dessert and we stop by the bookstore, yes a real old fashioned bookstore with a great selection of titles. 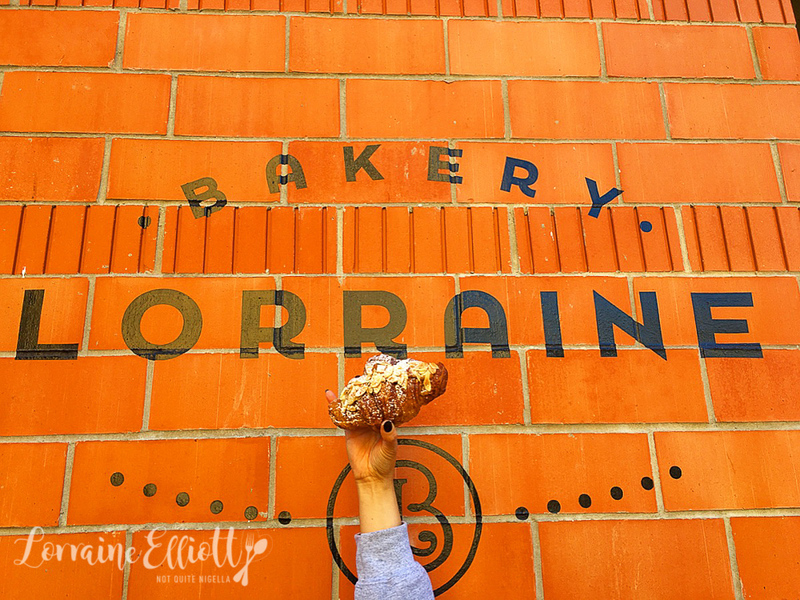 And I am unable to resist my namesake at Bakery Lorraine with its slender French style cakes, fat puffy almond croissants and dainty macarons. 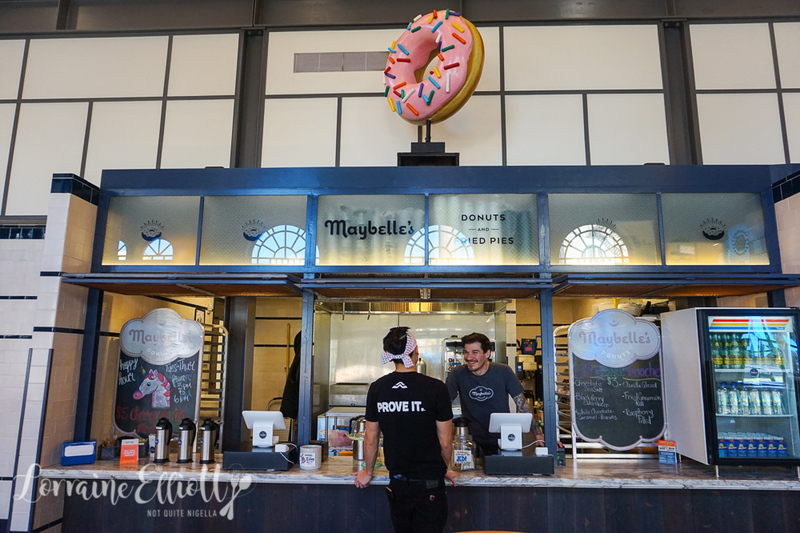 And we stop by Maybelle's Donuts in the Bottling Dept. Food Hall (who I later learn are owned by the same people as Bakery Lorraine). 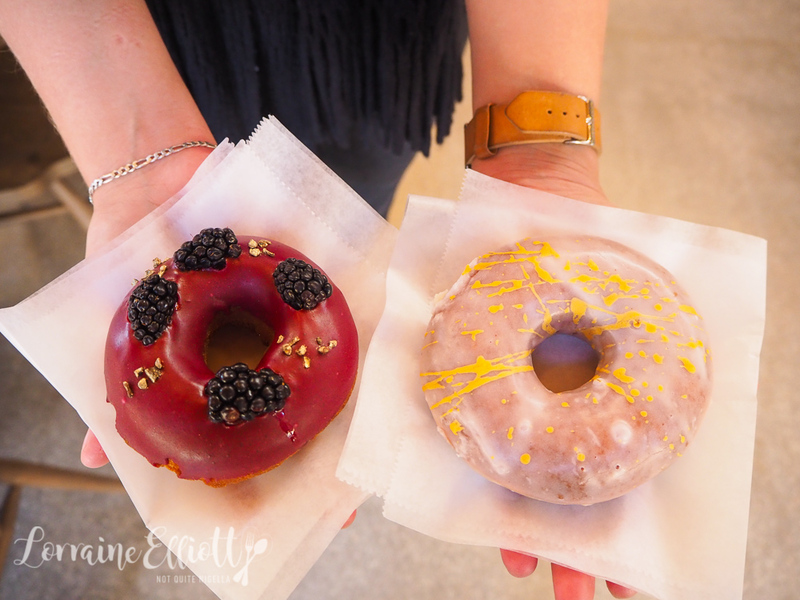 We buy two donuts: a blackberry and elderflower one and a vanilla donut. Usually I go for more unusual flavours but I have to say that the vanilla won my over completely. And then there are some final purchases from the many boutiques there including one of these name desk plates although it is hard to choose just one! 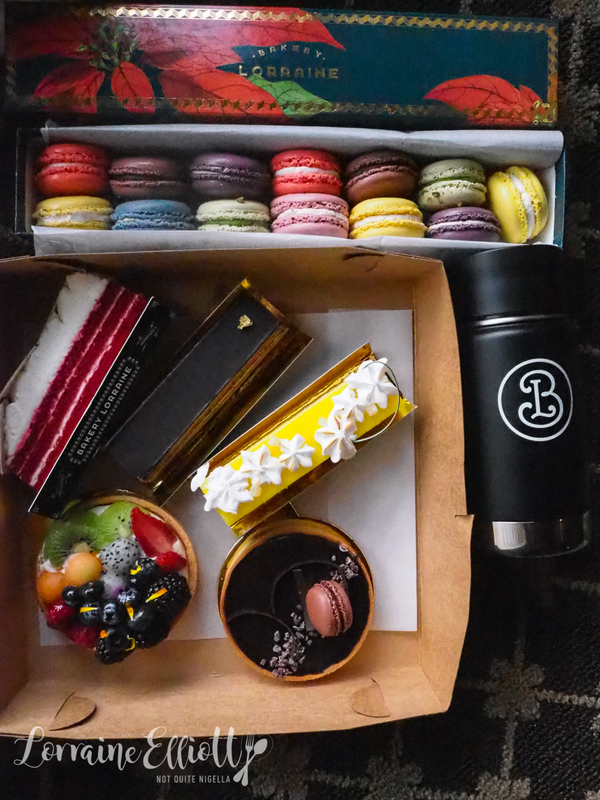 So tell me Dear Reader, do you go for more unusual flavour combinations or classic flavours? 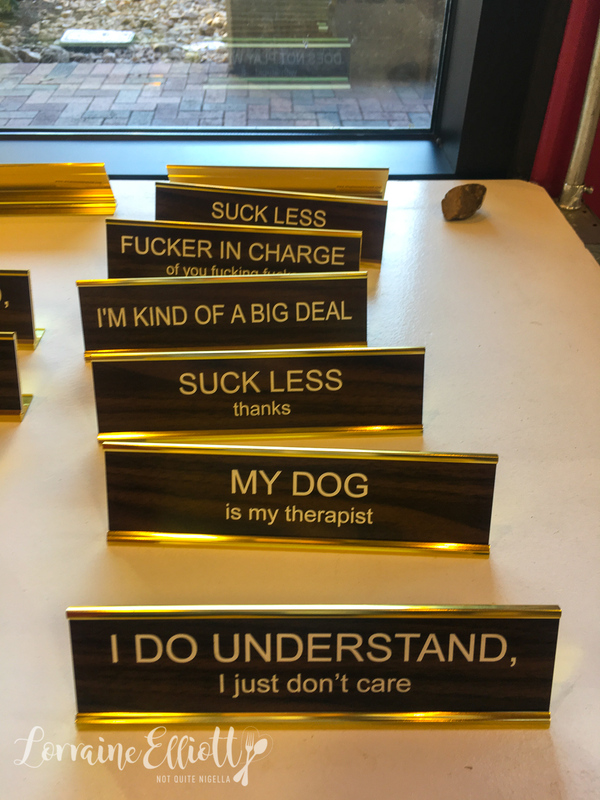 And which name desk plate would you have chosen? 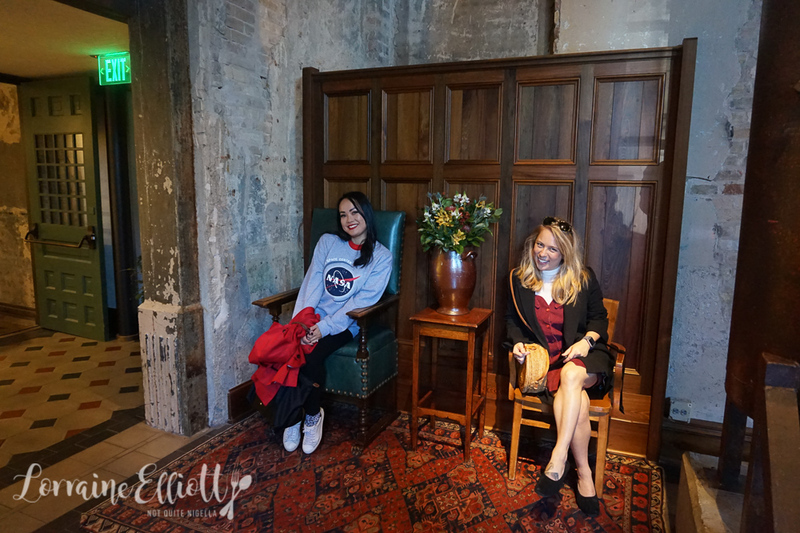 NQN travelled to San Antonio as a guest of Visit San Antonio, Texas Tourism and United Airlines, but all opinions remain her own.